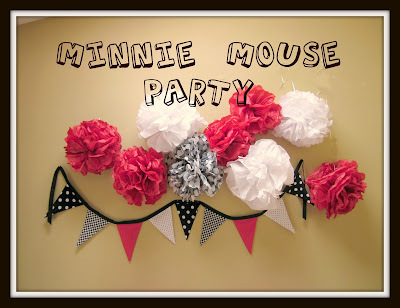 No one represents fun and youthfulness like Minnie Mouse. 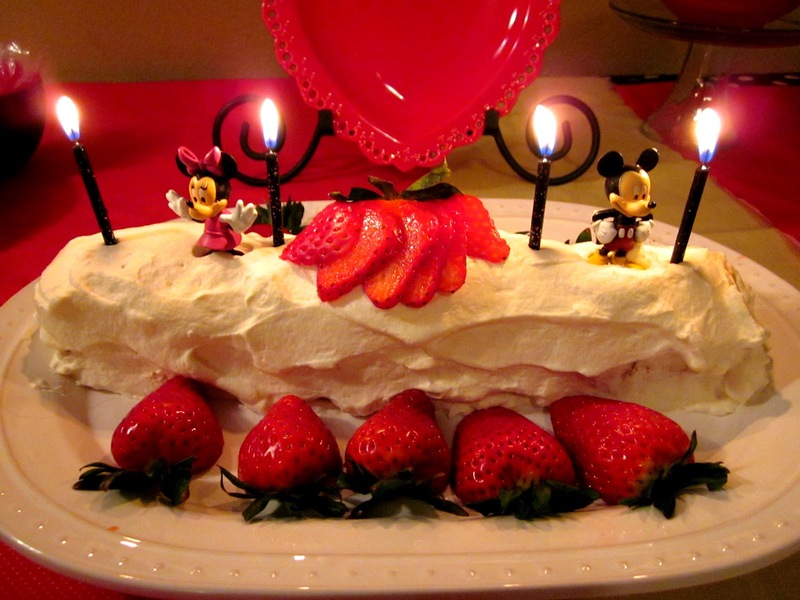 I spent the day with her and her friends at Disneyland and then had a Minnie Mouse birthday party at home. I made tissue puffs, Martha Stewart style to hang over our food table. The red, white, and polka dot tissue paper are from Target. I sewed a couple easy table runners from black and white and red and white polka dot fabrics all from Joann. Then I made a matching bunting to hang beneath the puffs. 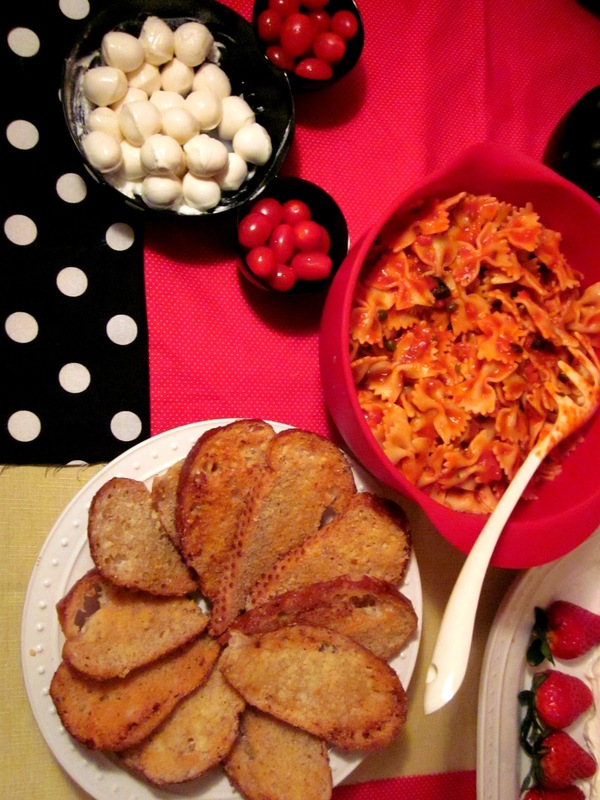 I served red, black and white food. 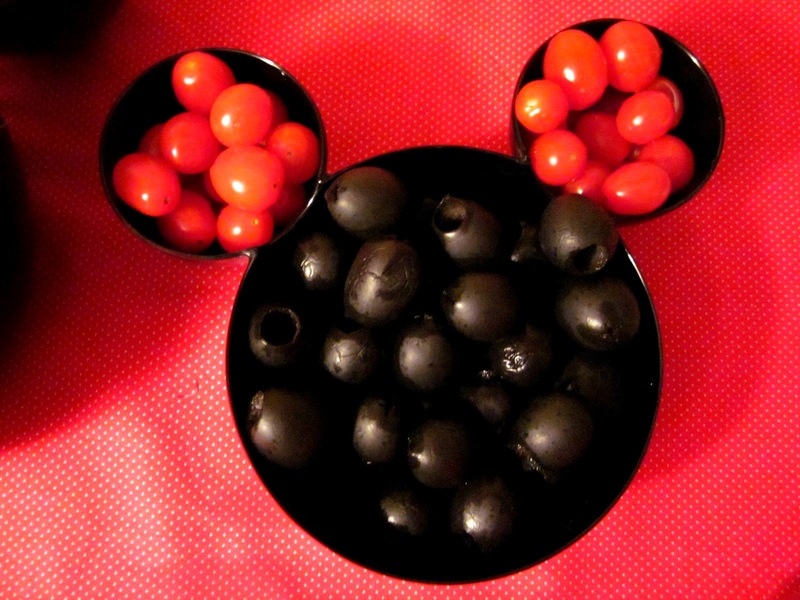 I found the Mickey Mouse bowls at Target. Fresh strawberries, red suckers, huge black olives, cherry tomatoes, and mozzarella balls. For our main dish we had Minnie Mouse bows with Puttanesca sauce and garlic bread. 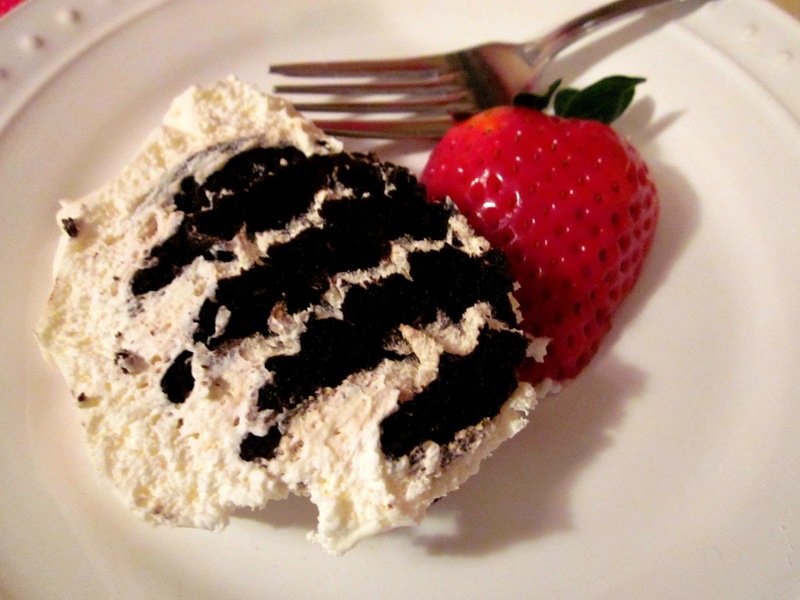 We had black and white cake aka Nabisco Famous Chocolate Refrigerator Roll. I found the Mickey and Minnie figures at the Dollar Tree. The cake is wonderful alone but the strawberries fit with our color theme. I've also made a chocolate version. We had water from a clear pitcher with ice and frozen cherries. 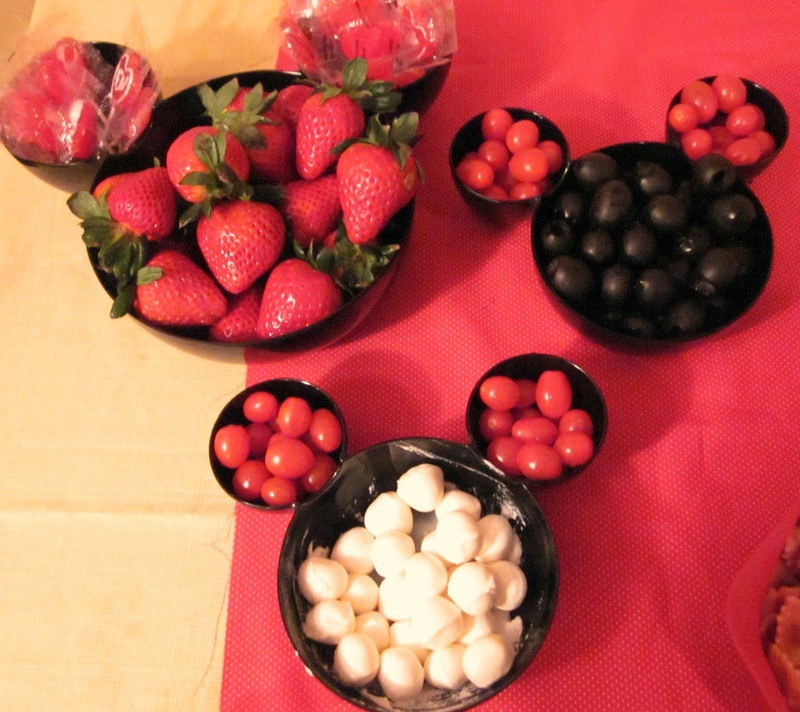 I also had red and black licorice on the table. Yum! I found some cute red and white polka dot napkins at Target too. And, of course, now that my party is over I'm finding all kinds of Mickey and Minnie stuff. Sigh. Thanks for stopping by my blog today. Feel free to leave a comment. 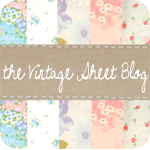 I also have many more ideas, tips, and tutorials on my other blog, The Vintage Sheet Blog. very nice! 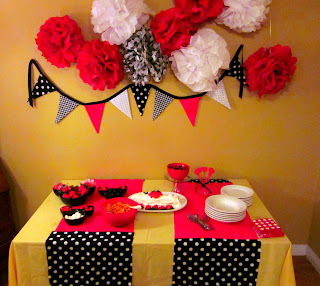 i love the puffs hanging over the dessert table! Will have to try that! Wow, super cute and creative! Hi! That was a super cute party. im planning my baby's birthday and I was looking for those mickey mouse bowls, I can't find them at target or anywhere. Would you sell yours?